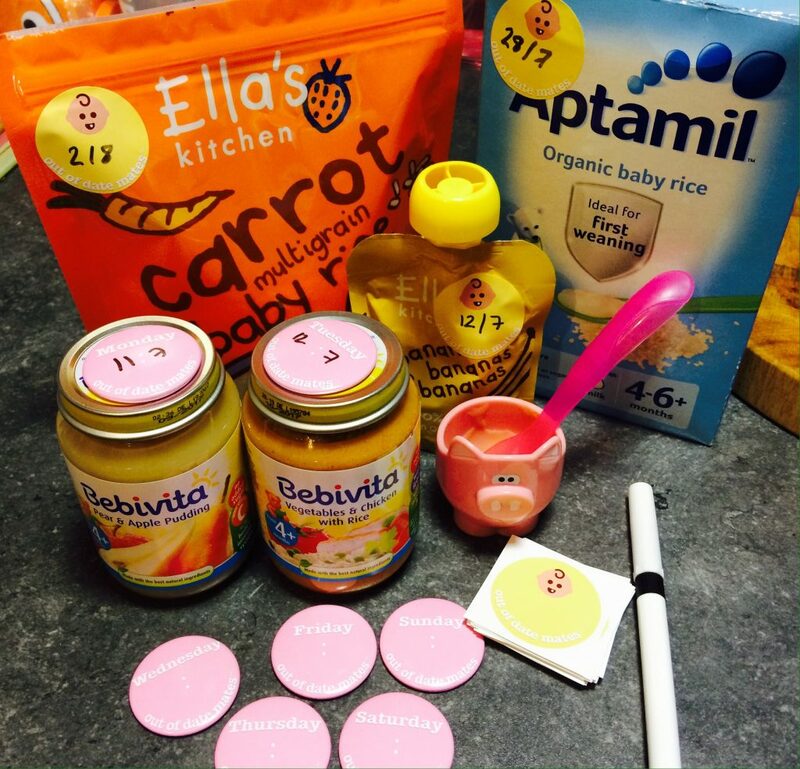 We are now starting on that big journey – Weaning! That scary time for a parent. Your baby is growing up. They need more than milk now so you enter that phase and question yourself. What on earth do you feed them? We have started slow and began with baby rice mixed with some of my breast milk. Baby girl loves it!. 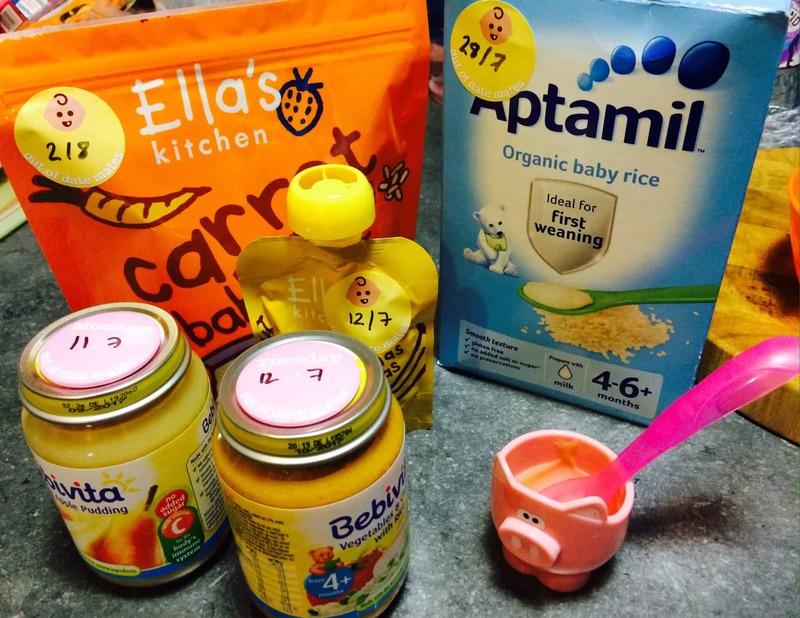 As a newbie to buying baby food packets and jars I didn’t realise that they have different time limits in which they need to be used by. The packets of baby rice have a month. Some of the jars have 24 hours, some have 48 hours. How on earth will I remember what was opened when, and when I’m supposed to use it by? Well to make life easier Out of Date Mates have these amazing little magnets which you write the time/date on. I have chosen to write the time/date that the products need to be used by. But you can choose to write on the time/date you opened them. The Out of Date Mates jar magnets come in three colours. Baby blue, baby pink or multicoloured. I chose the baby pink pack for baby girl. 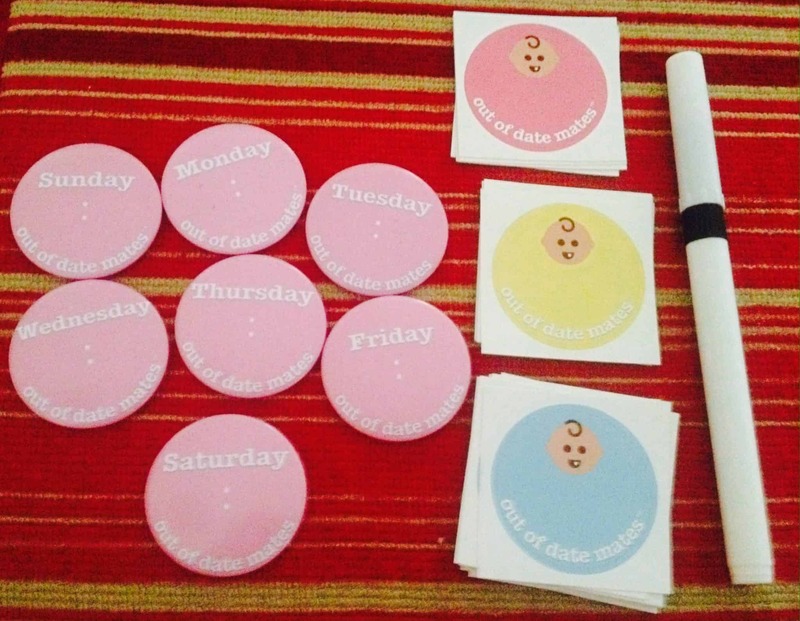 There are 7 magnets – one for each day of the week. In the pack I received there are also stickers and a dry wipe pen which I have used on the packets. I don’t know how mum’s keep on top of what jar was opened when. If you don’t keep a track it must cost you a lot of money as you cannot take risks with little one’s tummy’s. I’m so glad I saw Out of Date Mates tweet on twitter asking for weaning mum’s to review these magnets. It has helped the start of my weaning journey to be so much more organised. I cannot recommend these enough mums! A great money saving product as well as knowing your baby is safe. I keep the spare magnets not in use on the fridge door so they are always at hand. I would like to thank Out of Date Mates for sending me the magnets to review. All my thoughts and opinions are my own as always. Good luck with your weaning journeys. I know now that mine will be more cost-effective.